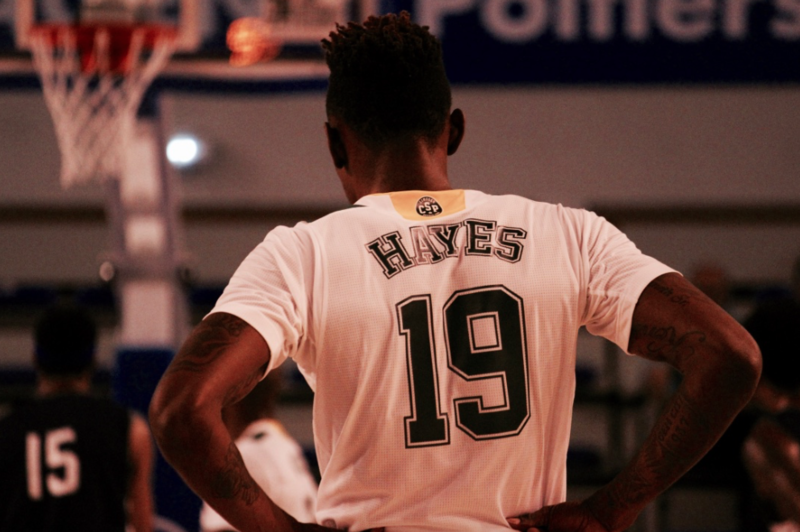 The american combo guard Kenny Hayes (6’2, 30 years old) shines in France since the beginning of the season. I met him. My name is Kenny Hayes. I’m from Dayton, Ohio. What was your basketball path growing up until playing in College? I played at Northmont, a High school in Dayton, Ohio. I was first time Dayton player of the year at Northmont. Then I went to university Miami of Ohio. 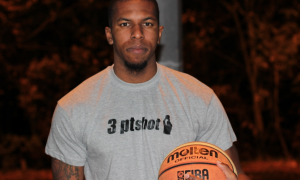 I am one of top 3pt shooters in my schools history books with percentages. You started your pro basketball career into the D-League. You were named the MIP there in 2012… Did it helped you to get contracts overseas? After college, I played in the dleague for the Maine red claws. I still hold the most points in a single game for the red claws with 52 points in a single game. I got call up to the Cleveland Cavaliers, and I was with them for almost a month. My main focus was NBA out of College but when I had a good year in the dleague, overseas teams started to show a lot of interest in me. You played in Israel, Italy, Kazakhstan, Spain, Turkey and now France. What can you say about playing pro basketball in each of these countries? I played my first two years in Israel. Me and Jamar and Rakim Sanders played together for that team. After that, I went to Italy where I had a really good season. 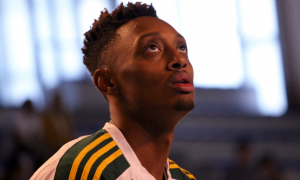 Next season, I went to Astana which I played really well and was 2nd leading scorer in the VTB league behind Keith Langford. I ended up leaving Astana and Unicaja Malaga (Euroleague) offered me to come play to help them finish the season strong. I was in Malaga February- June. 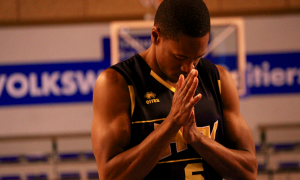 I played solid in Malaga which help lead to me signing in Turkey. I had a All-Star year in Turkey. It is a very tough physical league. Playing against tough teams every night. The Turkish league was loaded with fener, gala, Efes , besiktas, darf. As an american basketball player, is that difficult to adapt overseas in all these countries? In regards of food, culture, lifestyle, way to play basketball, and being away from family and friends, etc. Back home in the United States I have a 8 year old daughter. It’s very tough being away from her but she understands I love her. 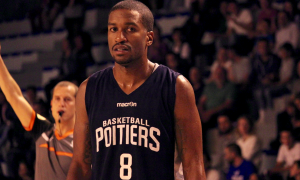 You played in the past with Jamar Smith, who won a championship with your current team: Limoges. Do you have a specific relationship with him? Did he advised you to sign in Limoges last summer? Me and Jamar are really close. We talk all the time. He’s one of my closest friends and idols. We played together in the dleague, Israel, and Malaga. We have a very special bond and he will always be my close friend forever. When I got the offer from Limoges, the first person I called was Jamar. He said nothing but great things. He said Limoges have the best Fans in France and that they will love my style of play. Your team has just get its sixth win in a row into the french championship. 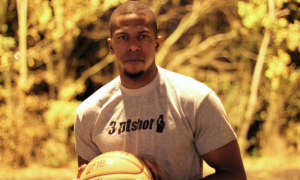 Are you satisfied so far about this choice to sign with Limoges CSP? Right now our team is playing well. We have to continue though. We can’t be satisfied at all right now. We are very happy as a team but we know that we have to continue to get better. Our ultimate goal as a team since the beginning of the season is to win the French Championship. We are a long ways from that but we know if we continue to work hard in practice and believe in coaches philosophy, we have a chance at our goal. In which position would you rank Beaublanc (the Limoges CSP arena) among the hottest basketball gyms in Europe? I think the Limoges Fans are the best fans I’ve ever had. They help me take my game to another level, even if I’m not playing good. They help us win games home and away and we love them for that. 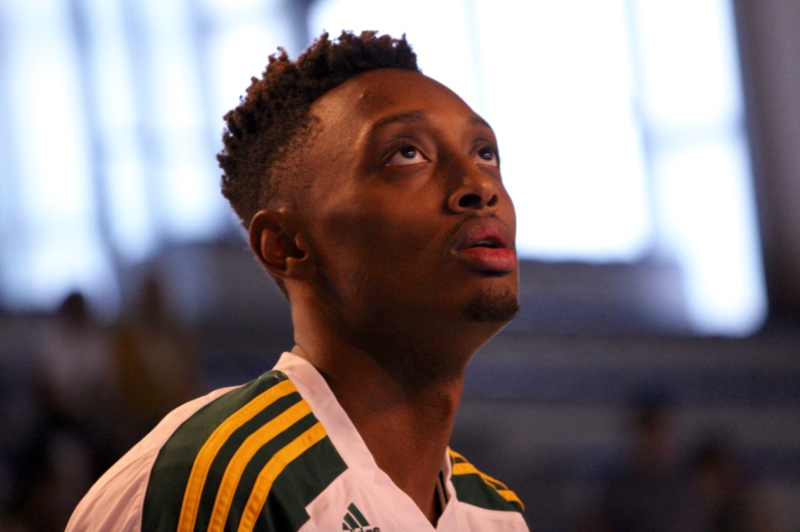 You are averaging 13 points, 2 rebounds and 4 assists per game since the beginning of the 2017-18 regular season and you will participe to the french All-Star Game at the end of the month. 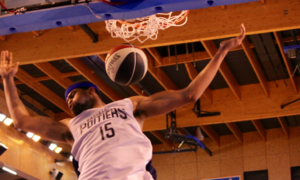 What is your personal feeling about being a french D1 All-Star through the fans votes? Are you excited to play in an NBA size arena in Paris? I’m very appreciative of the people who voted for me to play in the All-star game. It’s a honor and I’m glad I’m able to represent Limoges Csp. The All-star game will be fun and I’m looking forward to it. I also get to go against my teammate William Howard. We guard each other everyday in practice so we both know each others game. To conclude, what are your goals for this season and the futur? My ultimate goal is to win a championship. My best friend Jamar won a championship here in Limoges and I want to do the exact same thing. I don’t care about my stats. 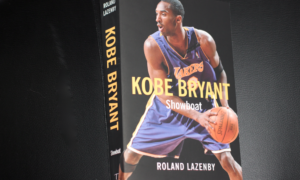 Everyone who knows me know I can score and I’ve always been a big scorer. 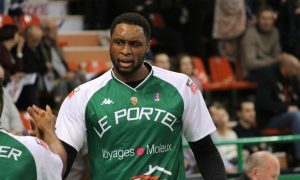 My main focus is wining and doing everything possible to help my team Limoges accomplish that. 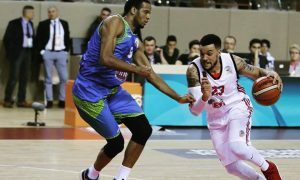 We made it top 16 eurocup which is big for us, now we want to continue to make eurocup playoffs and keep winning in the French league to become LNB Pro A champions again.